Scholar’s Spotlight: Megan Daniel | Music Matters | Because it does. Doesn't it ? Continuing the series profiling new Music Performance Scholars and Award Holders. 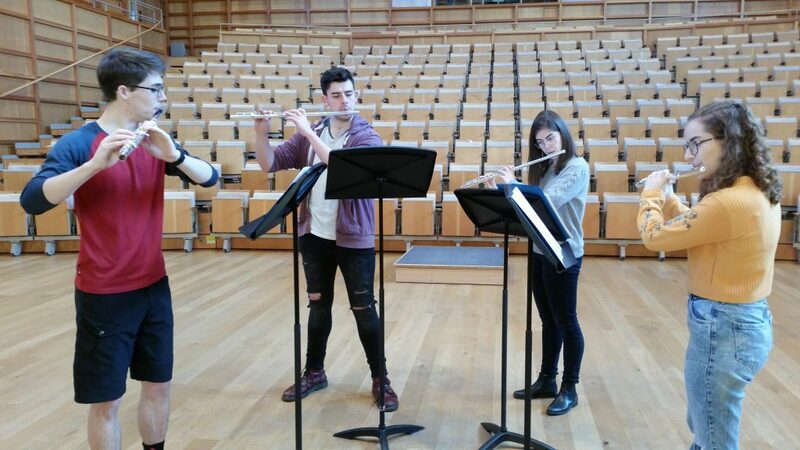 This week, first-year Law student, flautist and saxophonist, Megan Daniel. When I was 8 years old, I found my Auntie’s old flute in the attic and I was determined to be able to make a sound out of it. So, I began lessons and immediately discovered my passion for music. Soon after, I started piano and alto saxophone lessons and, 10 years later, I can say I have achieved grade 8 distinctions in both flute and jazz saxophone. 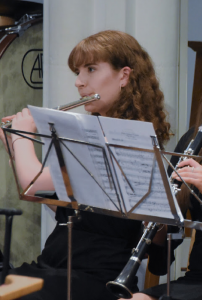 Throughout my school years, I was an enthusiastic music student, finding myself to be involved in almost every ensemble possible, such as concert bands, big bands and choirs. 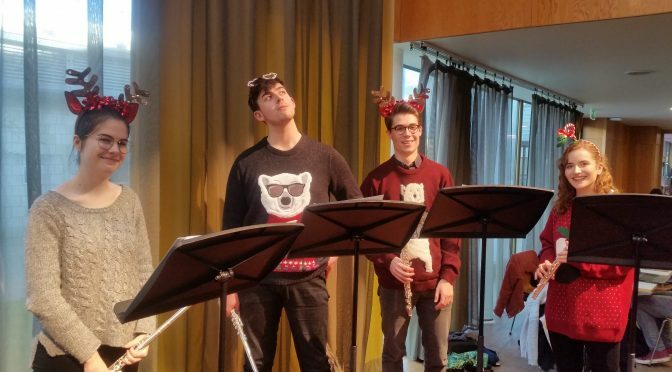 I was a member of my local student wind ensemble for 9 years and my county-wide ensemble in Hampshire for 5 years, taking on the responsibilities of principle saxophonist in each. In these ensembles, I was able to tour around Europe, playing in Berlin, Prague and the Black Forest, as well as many others! These were amazing opportunities which allowed me to visit places I may not otherwise have been able to see. When I was 15, my school big band were lucky enough to be invited to play at the Montreux Jazz Festival in Switzerland – we played two shows to an audience of around 600 people, and it was the best experience of my life! Consequently, we were invited back again for two consecutive years. 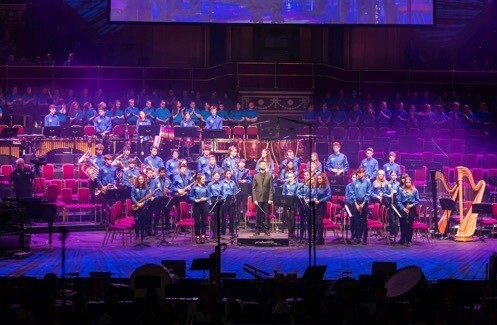 The same year, our big band and wind band won the regional Music for Youth competition and made it through to perform in the finals, held at Birmingham Symphony Hall, one of the country’s most incredible concert halls. As I got older and joined college, more opportunities arose for me. I began to learn the clarinet, which allowed to me perform in pit bands for various musicals, such as‘Anything Goes and Guys and Dolls. I soon realised my immense love for playing in pit bands for musicals, because the vibe is really exciting and the music itself is so much fun to play! It was here that I truly began to appreciate the community that playing music allows you to be a part of. Last year, I was a founding member of a student led wind ensemble which was assembled by a close friend of mine. What began as just a wind ensemble grew into an orchestra, big band and string ensemble that still put on concerts today, including a jazz evening this Easter! We play a mixed range of repertoire, from Holst’s First Suite in Eb to Malcom Arnold’s Four Scottish Dances. In my final year of college, I played alongside the Scots Guard at Buckingham Palace with Hampshire County Youth Wind Ensemble, performing the Lord of the Rings symphony. To play amongst such talented musicians was amazing! 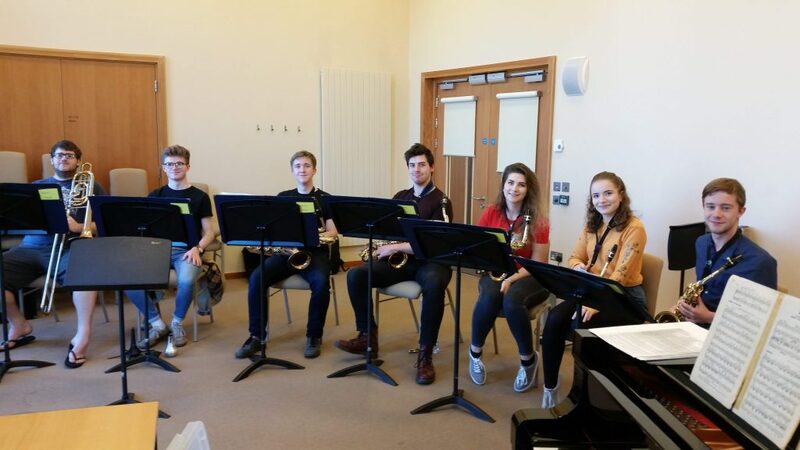 Also, in April 2018, the same ensemble was invited to perform at the Royal Albert Hall and participate in the ‘Hampshire at the Hall’ event that had been organised by Hampshire Music Service. Our group played A Jazz Funeral by Christopher Coleman, which features two complicated alto saxophone solos which I was lucky enough to play. This was a truly nerve-wracking but extraordinary experience which I will never forget. As a law student at Kent, I continue to enjoy music as an extra-curricular activity and as a way to relax after lectures and seminars. I am part of the University’s Concert Band, Big Band, Chorus, Cecilian Choir and Symphony Orchestra and Flute Choir. 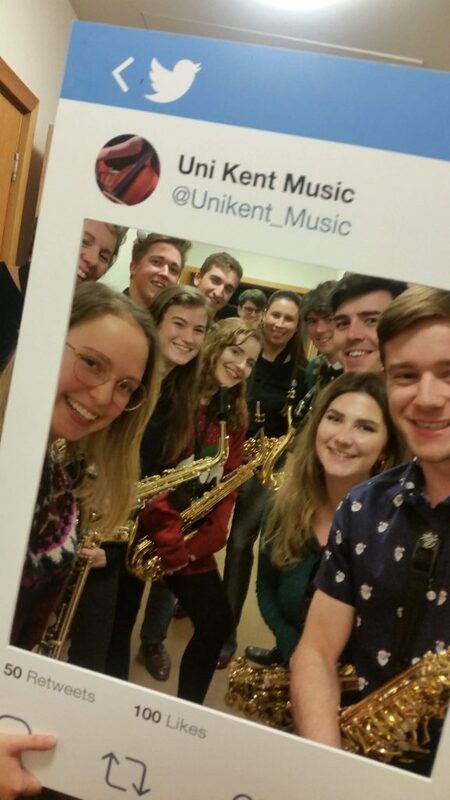 I have also met many amazing people through music at Kent and am extremely grateful to be a recipient of the Music Performance Scholarship. 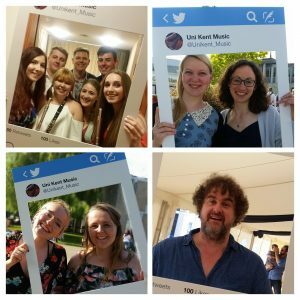 Read about other Music Scholars and Award Holders in the dedicated column here.